A bolt hanger is a bolt hanger? Think again. Mad stainless hangers with a twist in just the right place. The eye of our hanger features a twist and polished edge which enables smoother clips and does away with those nasty gashes on your carabiner. Fits standard 10mm or 3/8 inch bolts. Breaking load 22 kN. 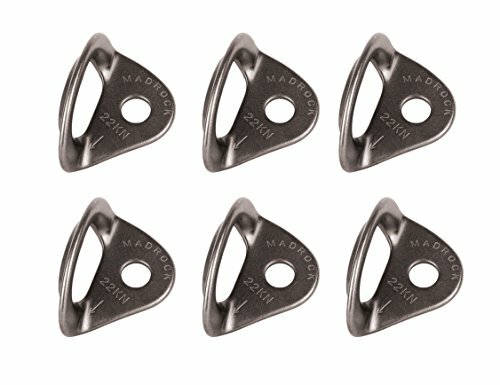 If you have any questions about this product by Mad Rock Climbing, contact us by completing and submitting the form below. If you are looking for a specif part number, please include it with your message.